Every now and again it feels good to take a break from writing and instead appreciate the writing of others that inspire me- in this case, Seth Godin. 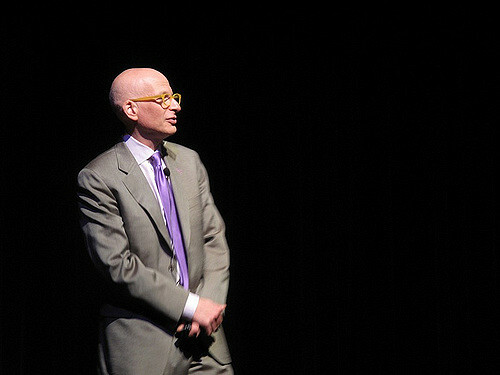 Seth Godin is one of the most prolific writers and podcasters I know of. That’s not surprising because for more than 30 years Seth has helped people with something special to offer become “producers” of their thing and to put it out into the world. Seth writes on a wide array of topics ranging from marketing to leadership to creativity to the art of bootstrapping. He’s a guru to entrepreneurs, artists, and free-thinking leaders. Here’s one of my favorite blogs by Seth entitled: Reject the Tyranny of Being Picked – Pick Yourself! From there you can explore more of Seth’s blogs. Add to my list of favorite bloggers! Who do you read online? Blogger suggestions: Atul Gawande: blogger, author, MD. Has a regular feature in the New Yorker. Great suggestion. Love his books. Can’t wait to read his blog. Hoping others will share their favorites like you did Sharon.